Looking to sell bitcoin (BTC) without getting ripped off? While you might be able to sell quickly on sites like Coinbase, you won’t be able to sell your bitcoin at the real exchange rate (i.e., the mid-market rate). In this guide, I’m going to summarise the process of how you can easily sell bitcoin in the UK and get the best possible price. In essence, the best option (for most people) is to reverse the process detailed in my ‘Buy Bitcoin Cheaply in the UK’ guide. This allows you sell your bitcoin at the best possible price, as you’ll be selling at the real bitcoin exchange rate (i.e., mid-market rate) and paying only €0.15 in fees. Transfer your bitcoin to GDAX. Sell your bitcoin on the BTC/EUR market on GDAX (using a limit sell order). Withdraw your euros from GDAX to your Revolut EUR account. Exchange euros in Revolut to sterling (at the real exchange rate, instantly). Transfer funds from GBP Revolut account to UK bank account. If you want a detailed walkthrough of this process, scroll down towards the end. Before you can complete the process, there are a few things you’ll need to sort out. Revolut is a mobile banking application on your smartphone. It’s free to setup and allows you to exchange between currencies at the real exchange rate (i.e., mid-market rate). This only applies to the first £5000 which is converted every month. Regardless, that’s a pretty sweet deal (the second best option would be something like TransferWise). SEPA transfers are also free of charge. Receive your euros from GDAX. Convert from euros to sterling (at the real exchange rate). Failing that, check out this post. GDAX is owned by Coinbase. If you already have a verified account with Coinbase, the signup process just requires you to confirm the details you already added to Coinbase. If you don’t have a Coinbase account, check out this guide. If you don’t want to use GDAX, then you could use Bitstamp or Kraken. You’ll need a verified account with a cryptocurrency exchange which offers BTC to EUR pairs so that you can sell your bitcoin. I’ve confirmed that this process works with GDAX, Bitstamp, or Kraken. Before most cryptocurrency exchanges allow you to withdraw funds to an account, you’ll need to send a few euros to them. If you haven’t already done this, you should check out this guide. Cheapest method to sell bitcoin. Get the real EUR to GBP exchange rate. Works with GDAX, Bitstamp, and Kraken. Only have to verify identity through two companies (Revolut and GDAX/Bitstamp). After that, you pay a 0.5% fee on cross-currency transactions. By default, Revolut will probably give you a £25k transfer limit. This can be increased upon request, but you’ll need to provide lots of documentation. Withdrawing from GDAX to Revolut is not instant (it uses SEPA). It’ll probably take 24-48 hours for the transfer to complete. Payments won’t be processed outside of working hours (Mon-Fri). 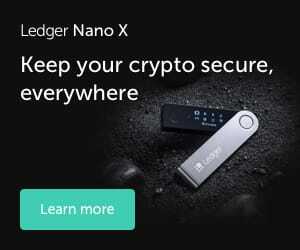 Seriously consider getting a hardware wallet like the Ledger Nano S or Trezor. I personally use a Ledger Nano S and I find it 100% worth the money. It not only safely stores your bitcoins, but other cryptocurrencies too – with more supported all the time. Check out my write-up about the Ledger Nano S.
Did I miss something? Or did I make a mistake? Let me know in the comments below or tweet me! In the top left of GDAX, make sure that you're on the BTC/EUR market. If not, click on the highlighted area and select BTC/EUR from the dropdown. Select 'DEPOSIT' in the left sidebar. In the window that pops up, select the 'BTC Address' tab. You should now see a BTC deposit address and QR code. Send at least 0.01 BTC to this address. As always, make sure you double-check the address before you confirm the transfer. If you're selling a large amount of bitcoin, then it's good practice to first send the minimum amount to confirm there are no issues. Once sent, you should expect the transfer to confirm in 1hour or less. The amount of bitcoin you wish to sell. The price you want to sell at (per BTC). To ensure that you do not unintentionally become a market taker (which subjects you to a 0.25% fee), select 'Post Only'. Read more about that here. When you're happy, select 'Place Sell Order'. You can autofill the 'Limit Price' by clicking a price in the order book (in red). If it's going too fast and it's hard to read, aggregate some of the orders by clicking the '+' symbol a few times. You'll now have to wait for your order to be filled. If your order remains unfilled after 5 minutes, resubmit the order at a competitive price. Select 'WITHDRAW' from the left sidebar. In the window that pops up, select the 'SEPA' tab. If you've already made your deposit, then your Revolut details should be pre-filled. SEPA transfers usually take between 1 - 2 working days (Mon-Fri). You’ll want to complete this currency exchange during working hours (Mon-Fri). If you don’t, you’ll pay a slight premium (+0.5% above base-rate) to exchange major currencies. Swipe to your EUR account in Revolut. In the lower panel, select GBP as the currency. In the upper panel, select how many EUR you'd like to exchange. Swipe to your GBP account in Revolut. In the bottom bar, select 'Payments'. Select your UK bank account (or add another). If adding another, set it up as a payment 'To Myself'. Input the amount you want to transfer.